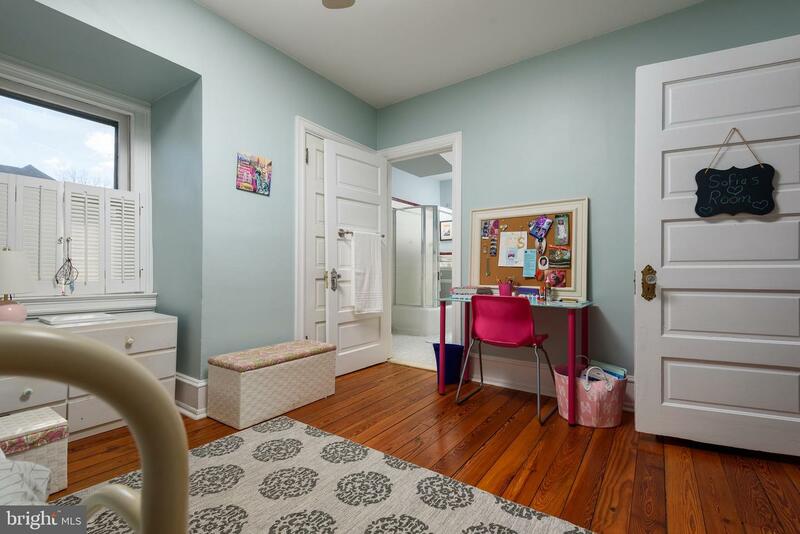 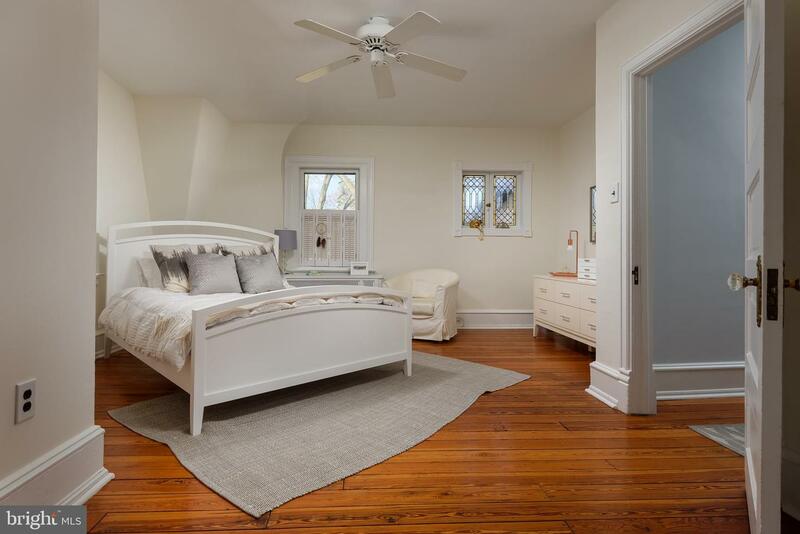 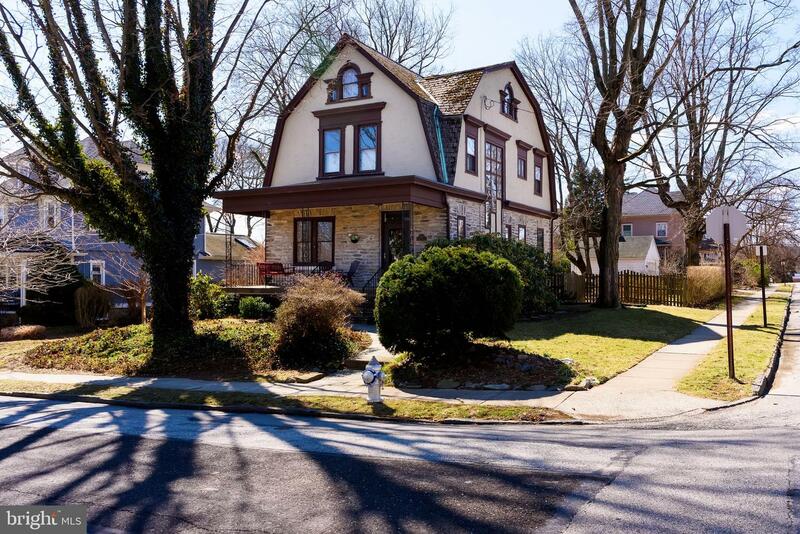 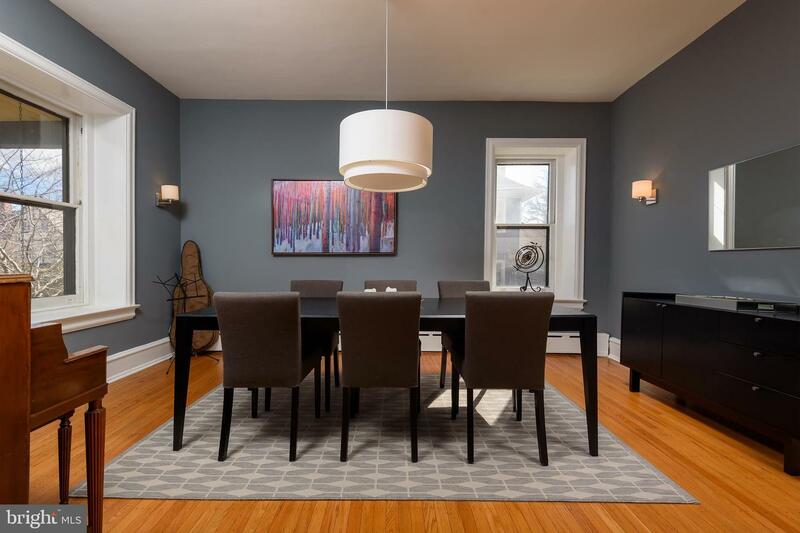 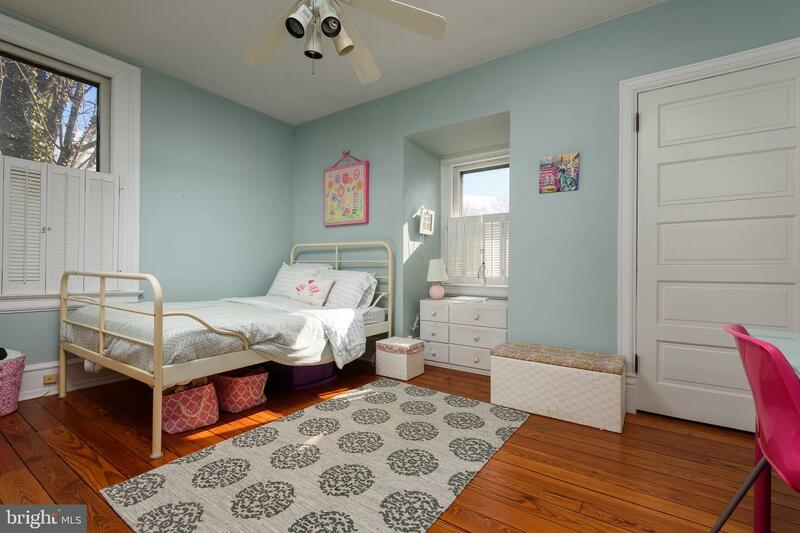 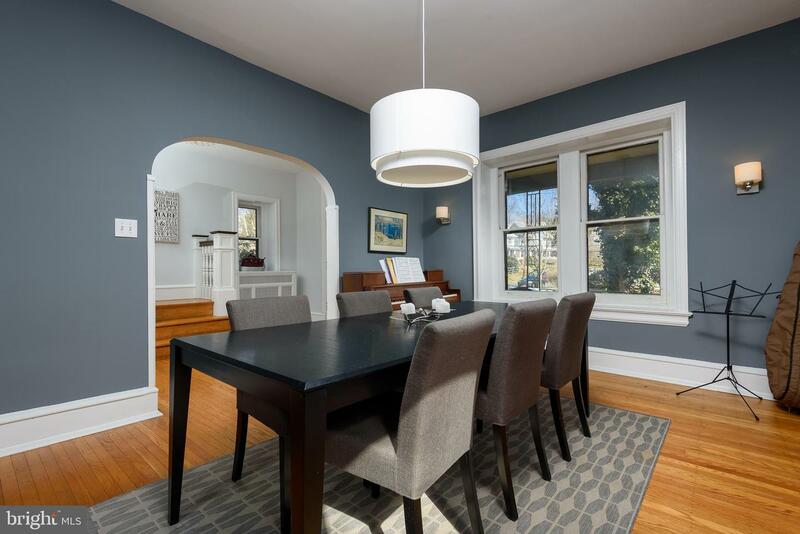 Welcome to the highly coveted, quiet and family friendly street of Fairhill Avenue. 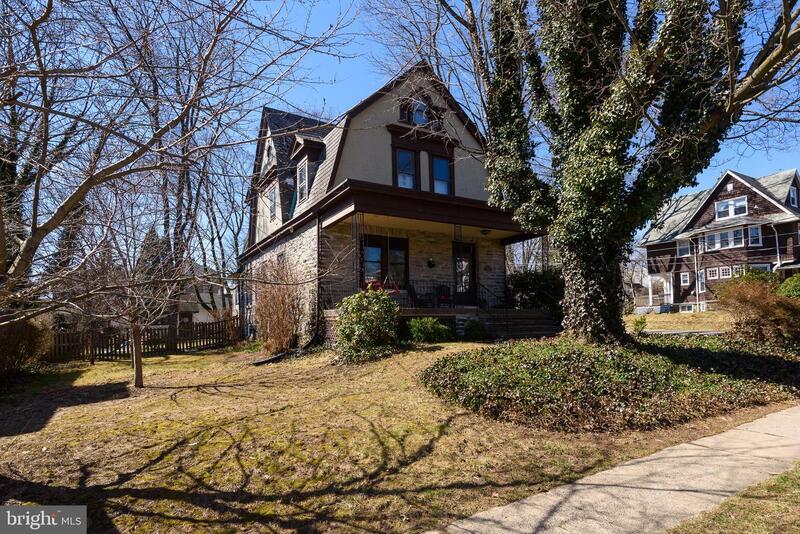 Now, welcome to the charming turn of the century Dutch Colonial home adorning the SE corner adjacent to Woodlyn Ave. Lovely mature landscaping with walkway welcomes you to a large porch where you can relax on your porch swing. 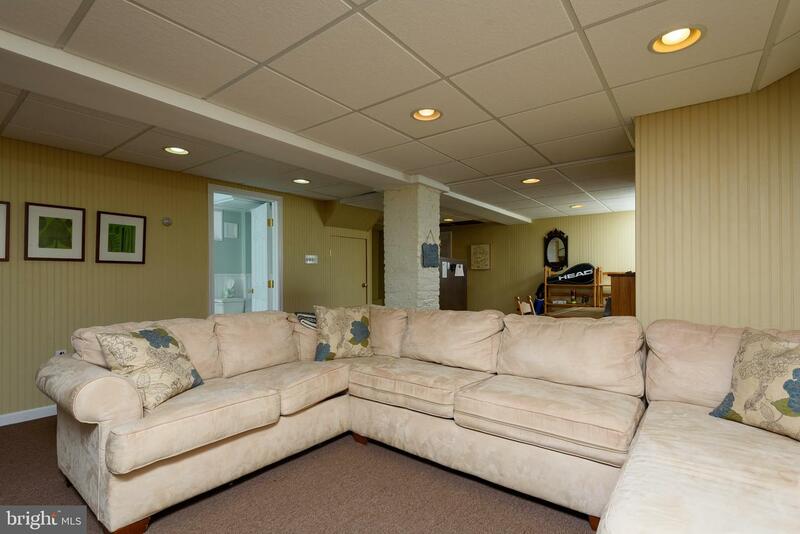 A large, level fenced-in yard with a new patio is perfect for gardening, a volleyball net and entertaining. 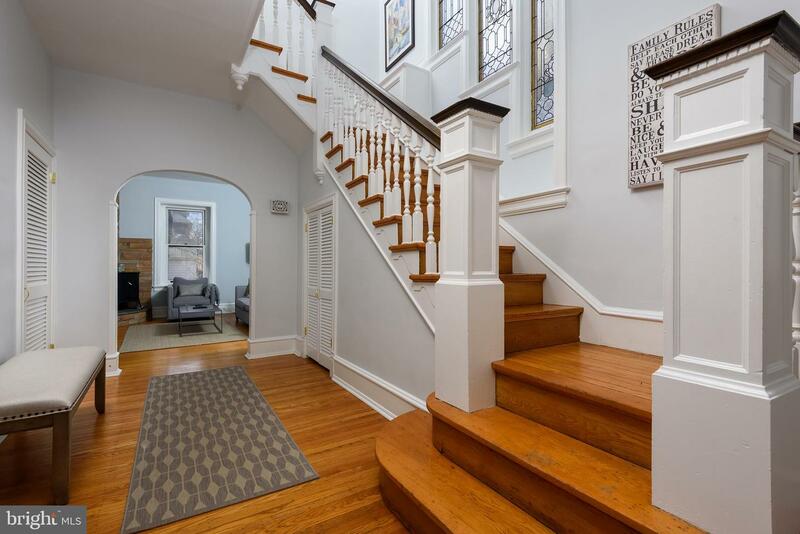 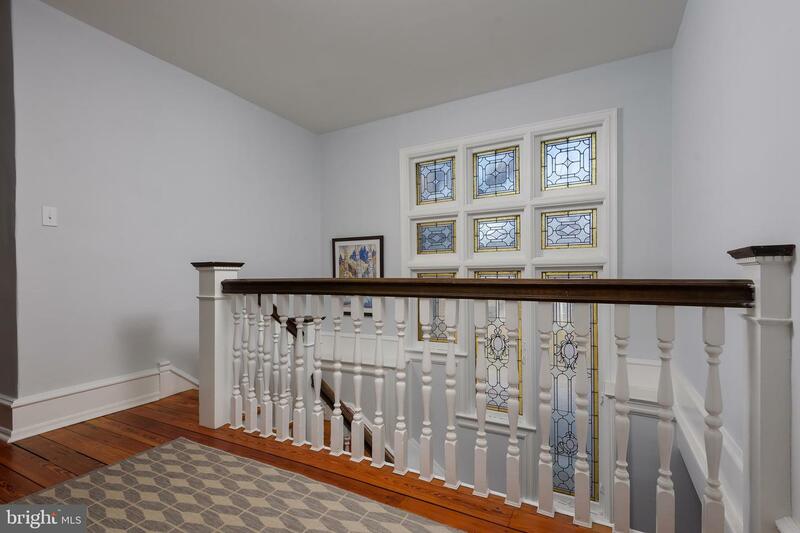 Enter the front door to a grand foyer with three rising, stunning stained glass windows overlooking a beautiful staircase. 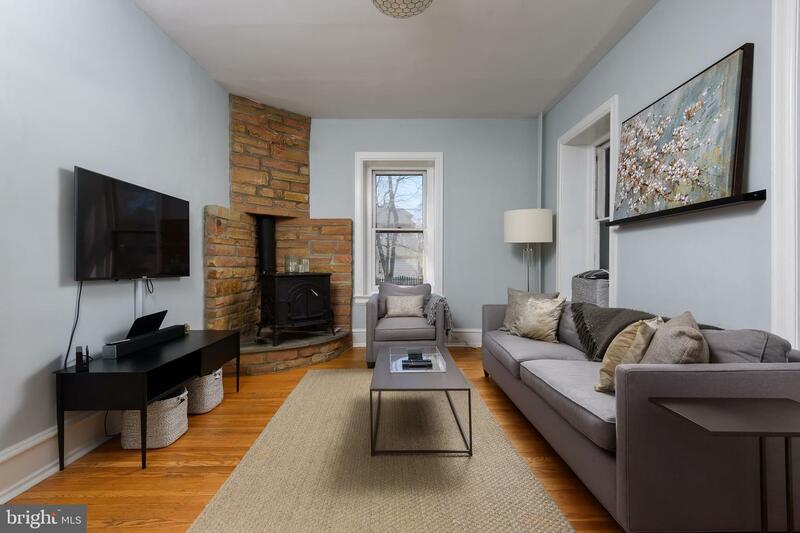 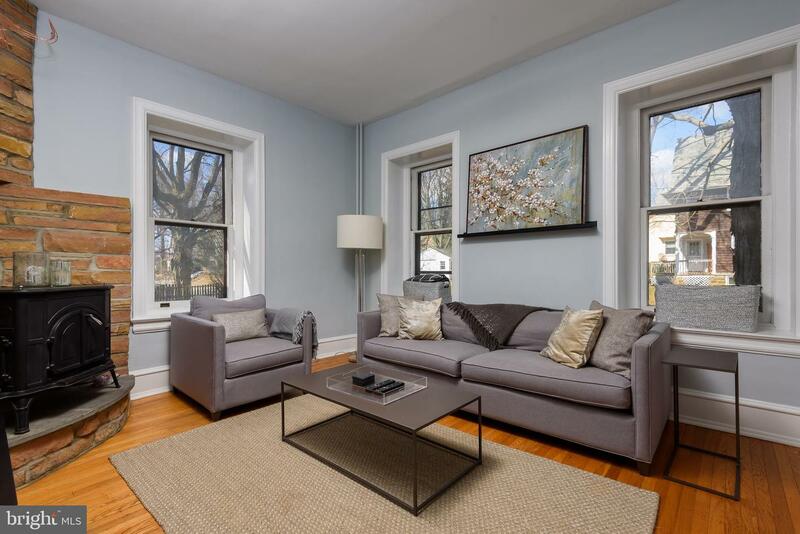 As you tour the first floor you will see the modern flair but feel the traditional sense of the home with the hardwood flooring, large windows, and wood-burning stove. 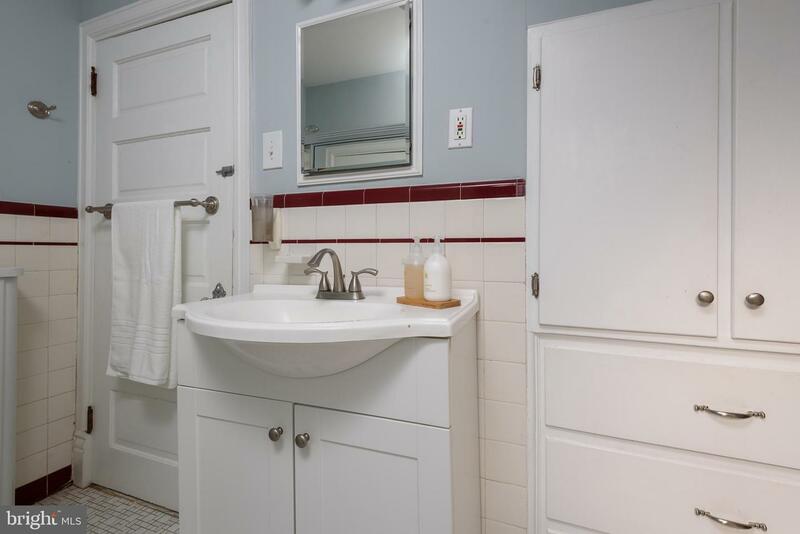 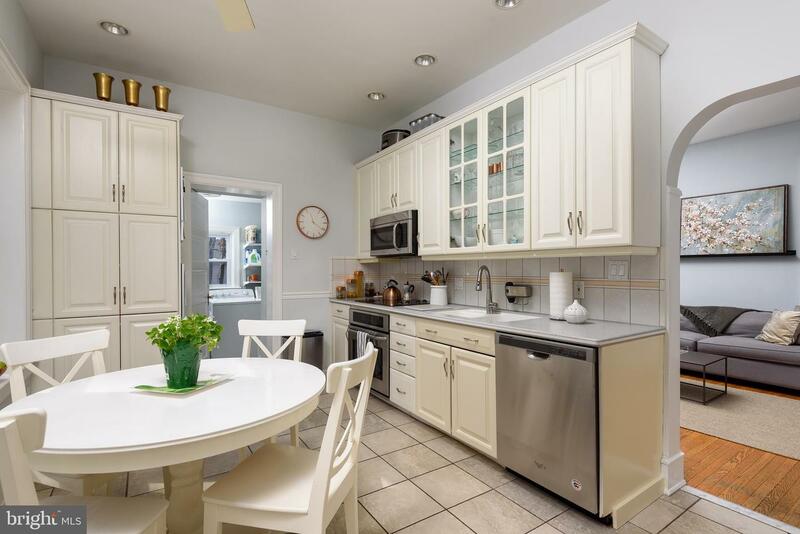 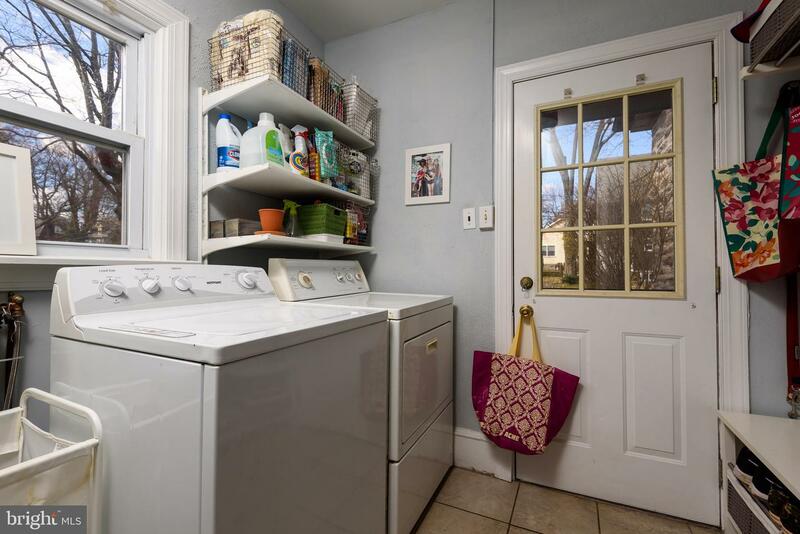 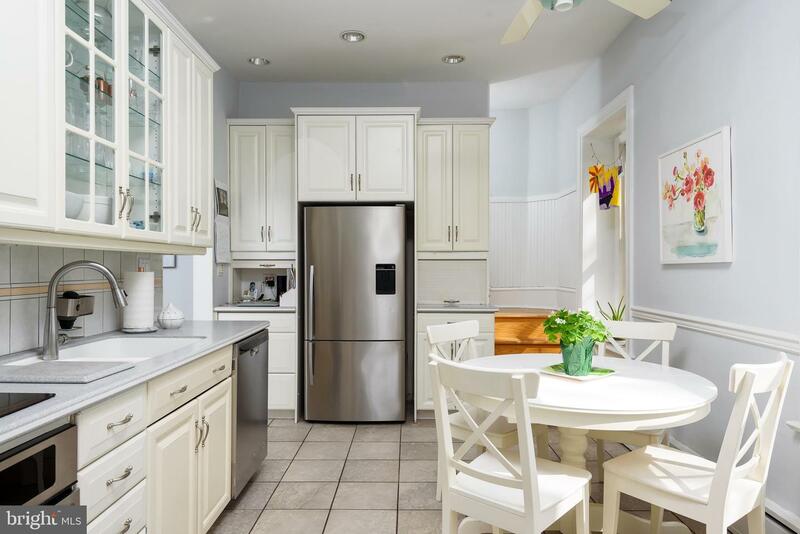 A large updated kitchen with plenty of cabinet space, stainless steel appliances, brand new dishwasher, and tile flooring leads into the laundry room also with tile flooring and a renovated powder room. 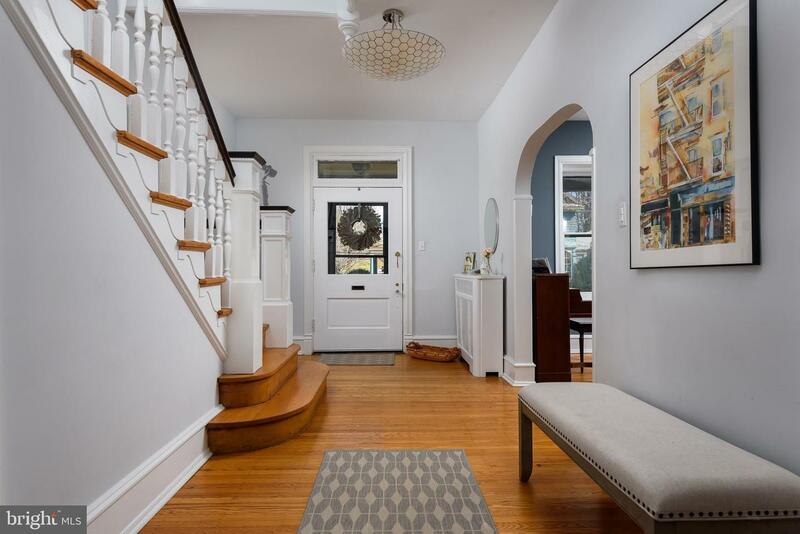 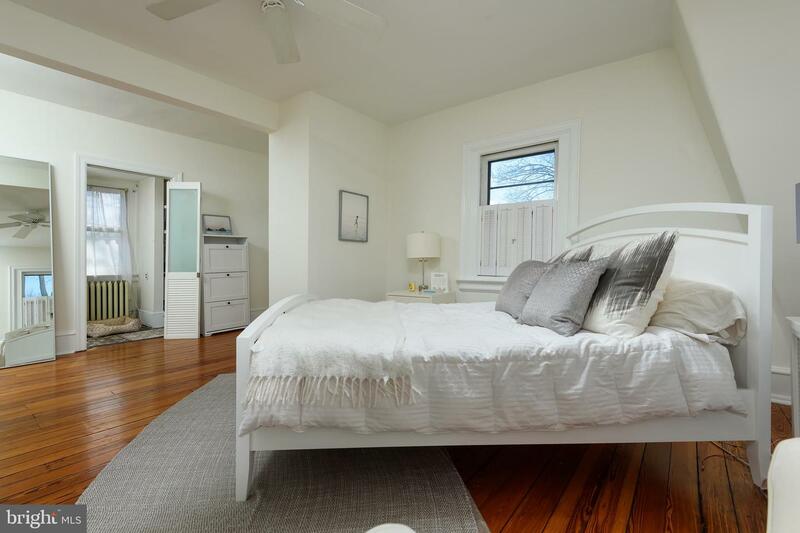 Take the front stairs or the back stairs to the 2nd floor where a large landing awaits you along with 3 bedrooms, with an exceptionally large master bedroom with sitting area and walk in closet that could easily be converted to a large modern master bath. 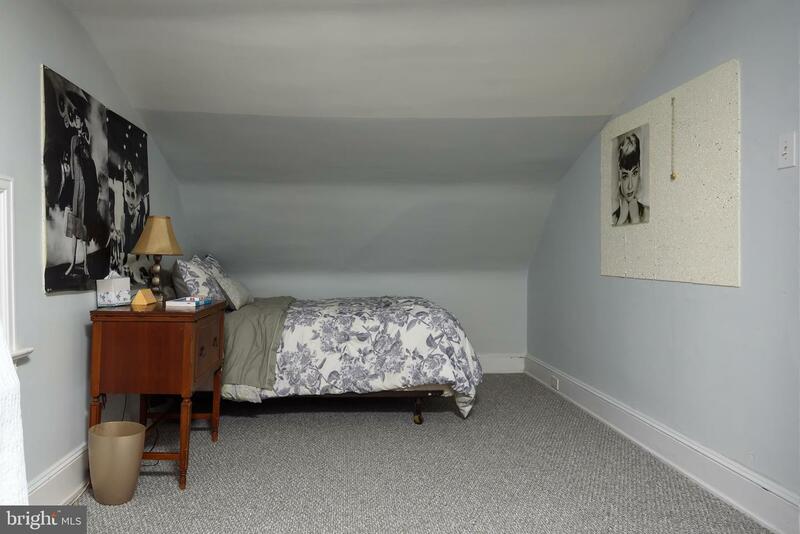 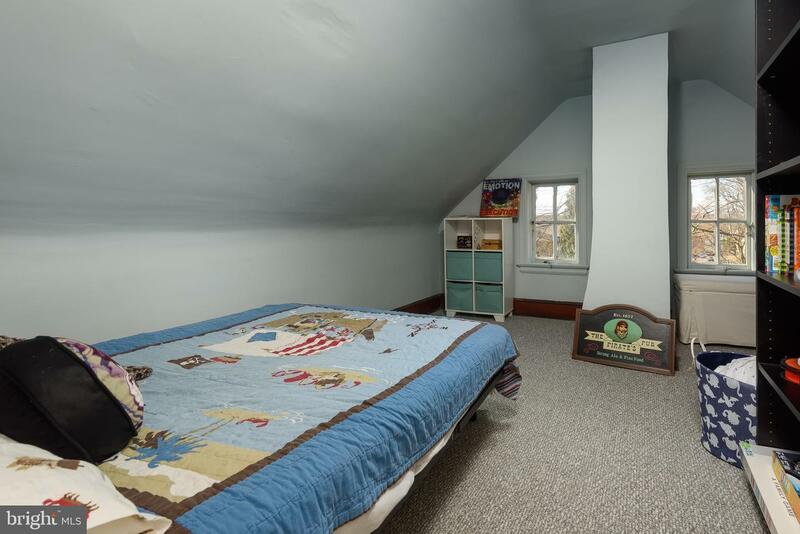 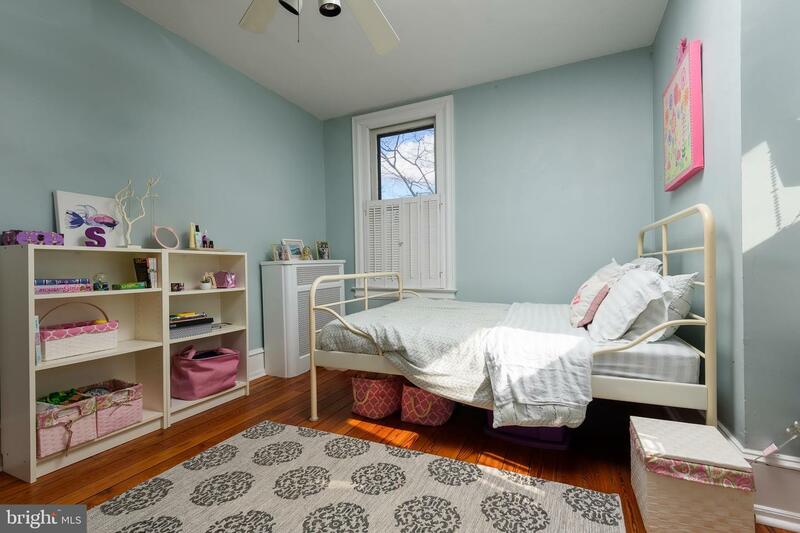 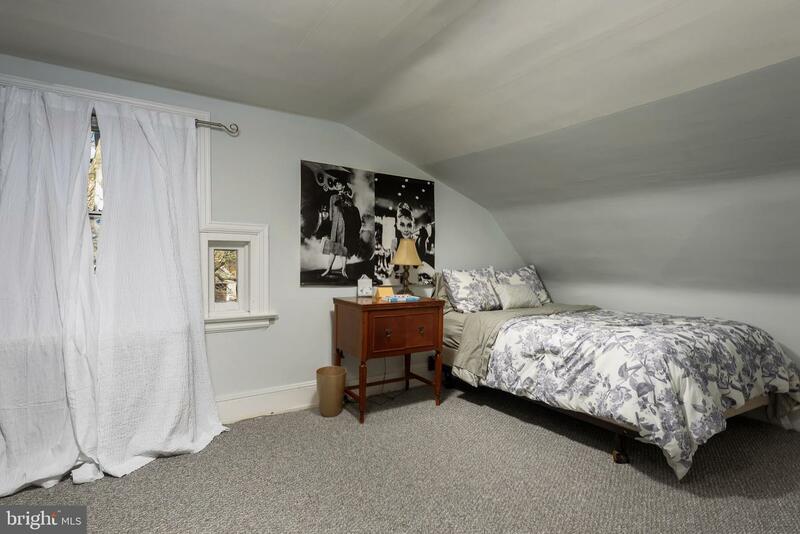 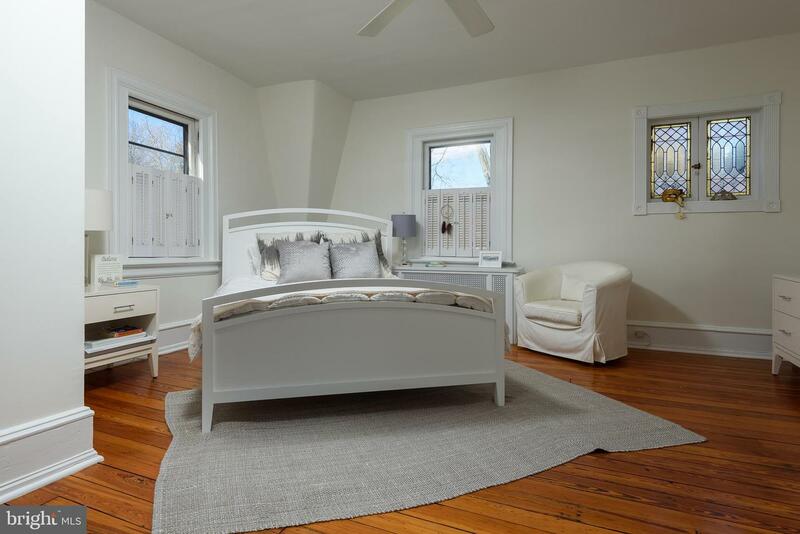 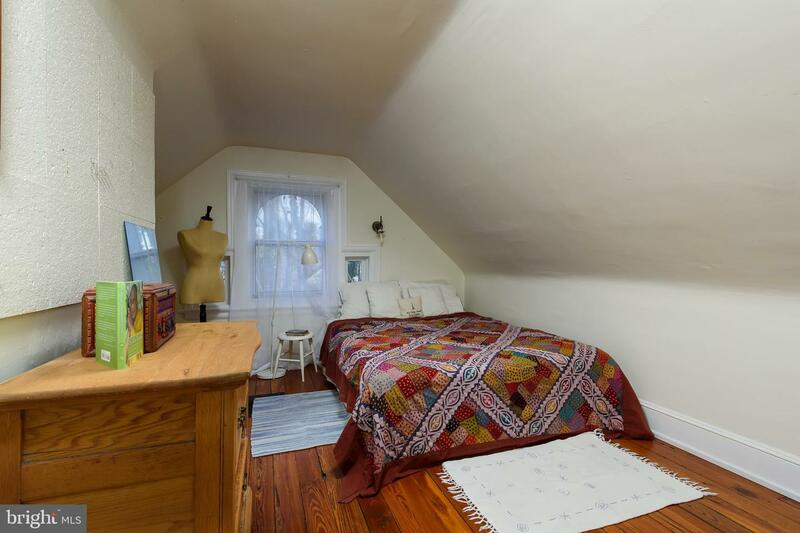 The 3rd floor boasts 2 large bedrooms, one with a walk-in closet, and a bonus room which could be used for storage, office or sewing room. 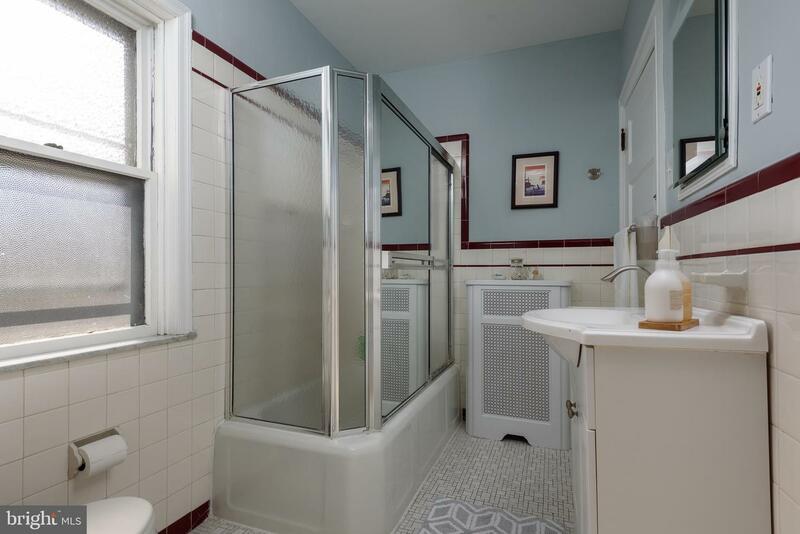 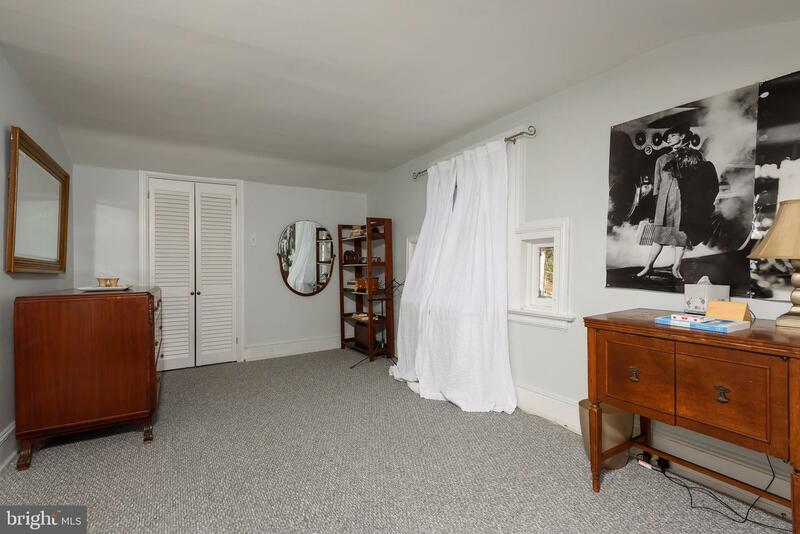 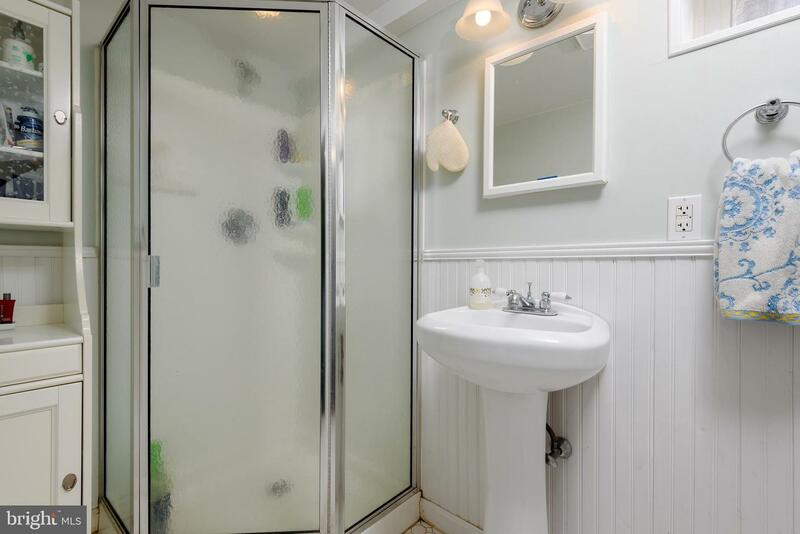 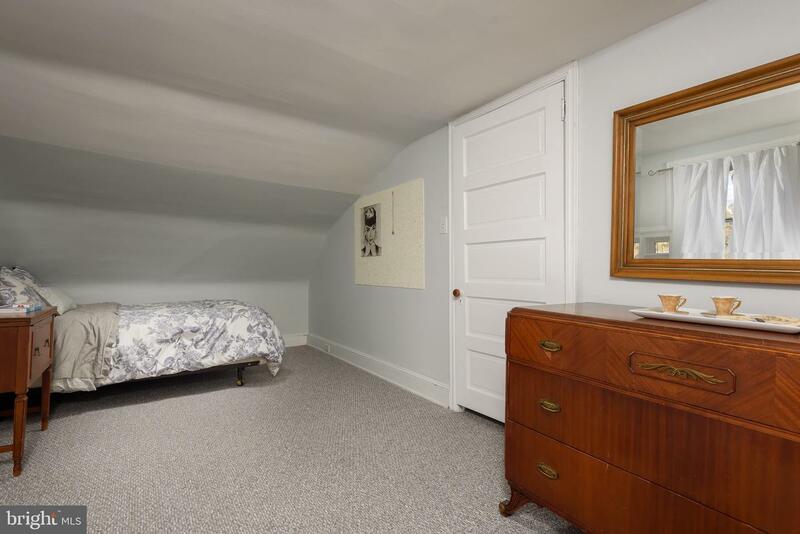 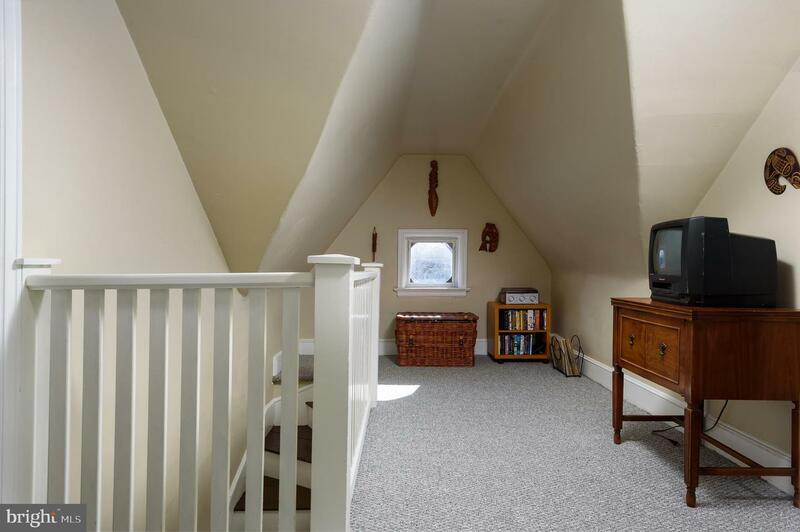 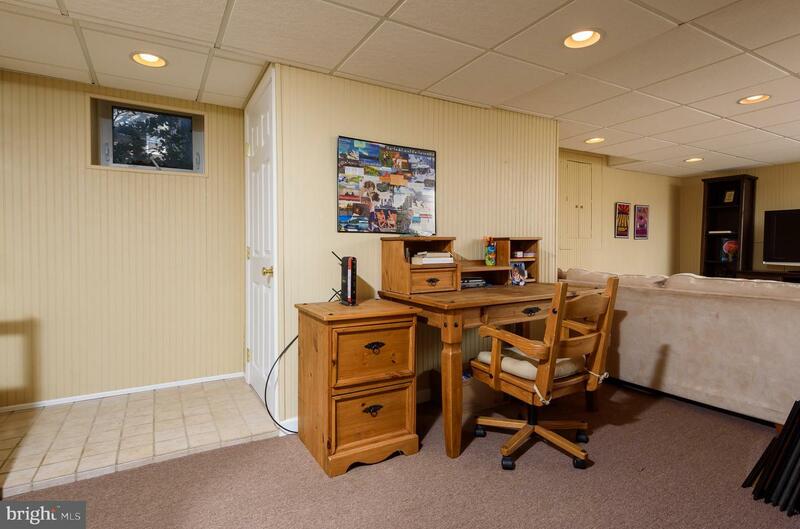 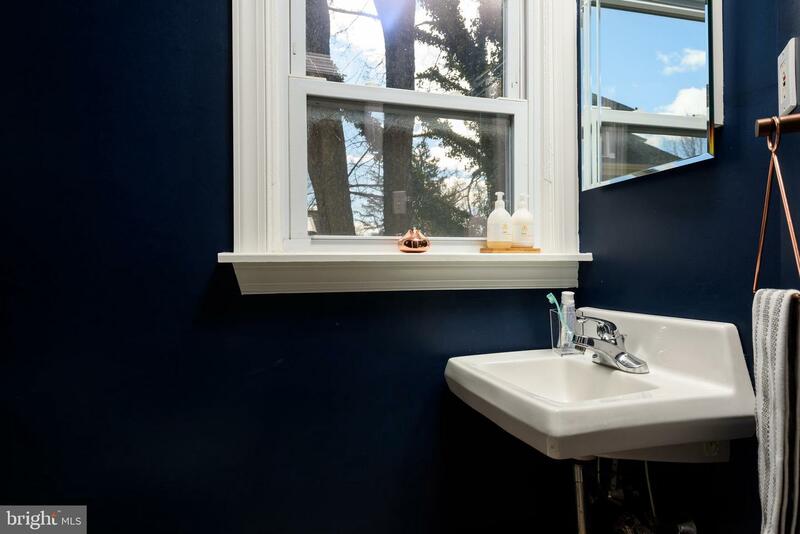 The large tastefully finished basement with full bath, walk-in closet, utility room and plenty of storage could be used as a family room, man cave, play room, or office space for a professional or as an in-law suite as it has its own separate entrance. 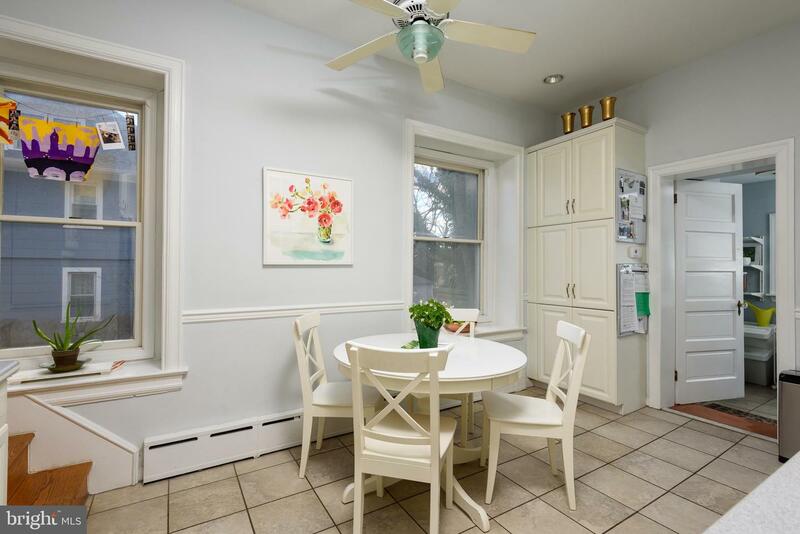 This home is also within walking distance of Keswick Village with shops, restaurants, grocery store, and the historic Keswick Theater. 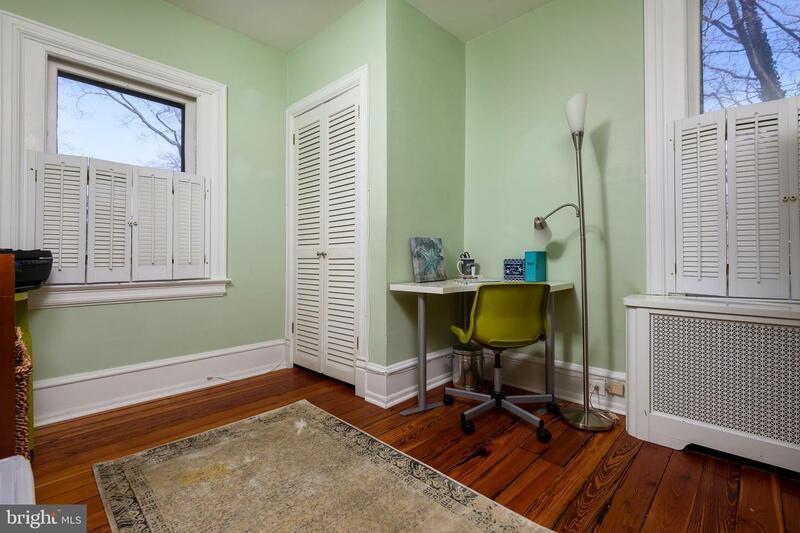 It is also only a 2 minute walk to the train station, which gets you to Center City in less than 30 minutes. 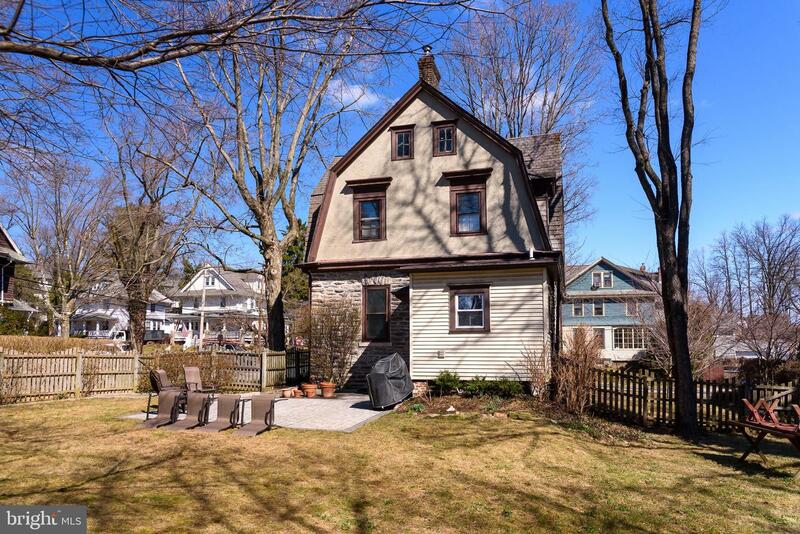 It's already home, make it your own!